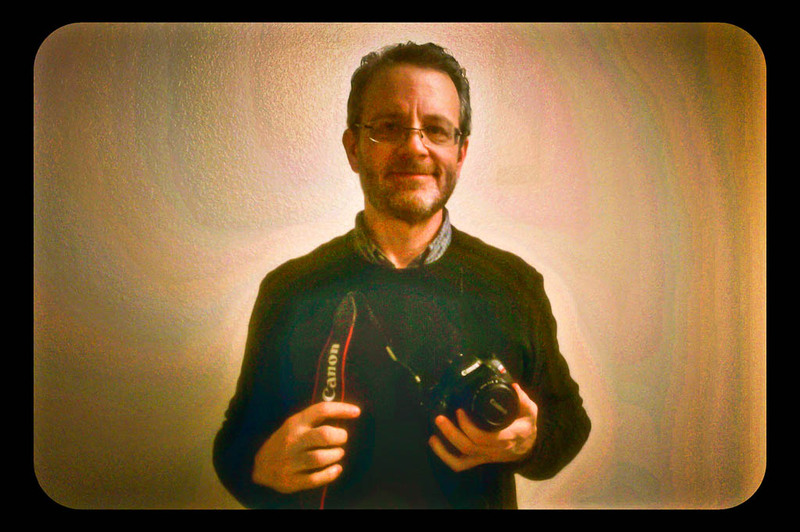 Remember Doug Knisely- the photographer who won the Cell Phone Contest and the Canon T2i? Here is the self portrait with his Grand Prize. Doug sent it in a long time ago, it was buried in emails and I just found it today. I promised you a picture with the T2i! I was trying to figure out what to do, but it only seemed appropriate for me to take a cell-phone self-portrait, which turned out to be harder than I thought! But it was fun. So, I guess this is probably in a similar vein as the daily cell-phone pictures that I take. The T2i is a fantastic little camera. It's not quite up to the DR of my D700 (I'm spoiled) and low-light work is challenging (AF still seems to be a bit less strong compared to Nikon), but I think I've really good a good feel for its strengths and limitations now. Thanks again for sponsoring the contest, and I consider it a real honor to win. I really enjoy the cellphone photography almost as much as the more "serious" stuff. The T2i has been extremely useful to me, and I believe I'm going to include it with the fisheye even on serious shooting trips so I can avoid changing lenses. I can't say enough positive about the cheap Samyang 8mm fish; it is really sharp! For urban shooting, that is a great combination. The Canon 85/1.8 is also a great lens, comparatively much better than the Nikon 85/1.8. I'm also interested in exploring video, which is something that Canon does so well (and for which primes are a good choice). My Nikon gear doesn't have video at this point, and the T2i video is excellent. There is a way to sync off camera flash with cell phones, which I can hopefully write about soon. Thanks for the image and writing Doug! We were very honored to have you win!